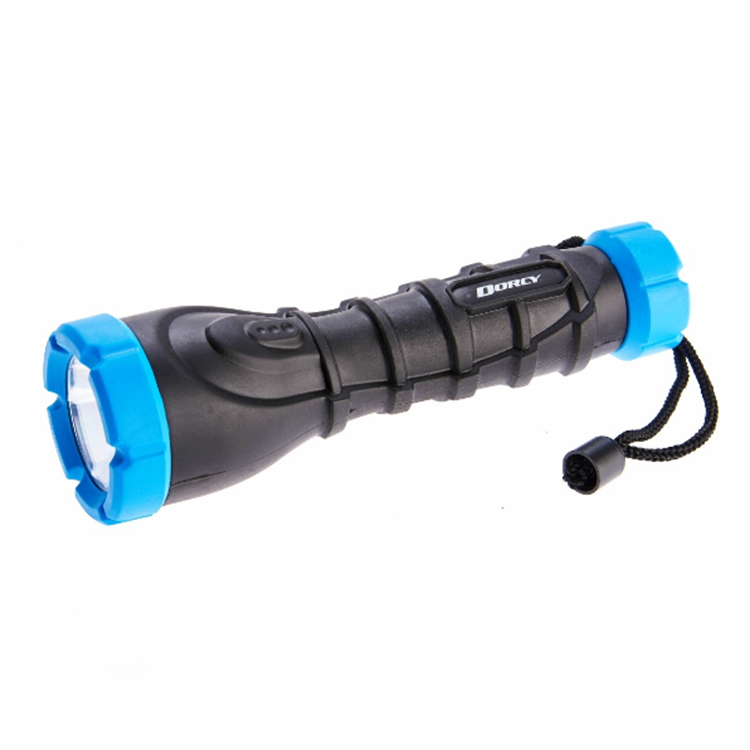 Dorcy EU-2958 - Zaklamp - 3AAA TPE Flashlight - incl. batt. The Dorcy 120 Lumen Rubber LED Flashlight is constructed of TPE rubber material for durability and long lasting life. This light features a powerful 120 lumens of output power, 8 hours 30 minutes of run time on just 3 AAA batteries, and a beam distance of 150 meters. Other features include a sleek and rugged design for comfortable handling, a non-slip grip, weather resistance, and a sealed push button switch for ease of use.